GAME ON! Livermore Schools & the Oakland A's! Get Your Tickets Today! 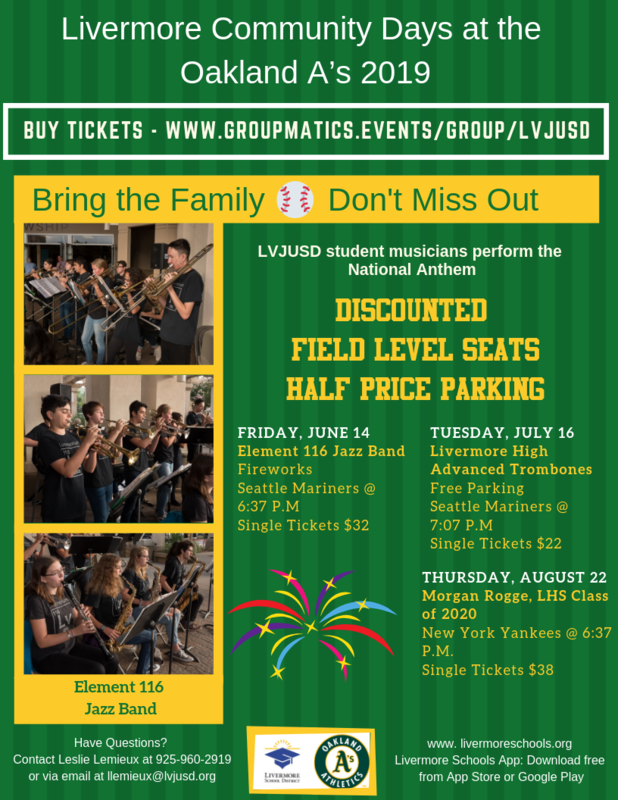 Our students perform the National Anthem at A's games on May 11th, June 14th, July 16th, and August 22nd! Order single tickets or save even more with the purchase of a Home Run Bundle! Discount parking available as well! Click above for the links to purchase your tickets today! Students in grades 3-8 and high school that will be participating in state testing this spring have been notified via email. 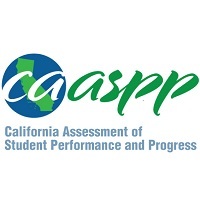 For more information, including practice test links and length of tests, please click above. 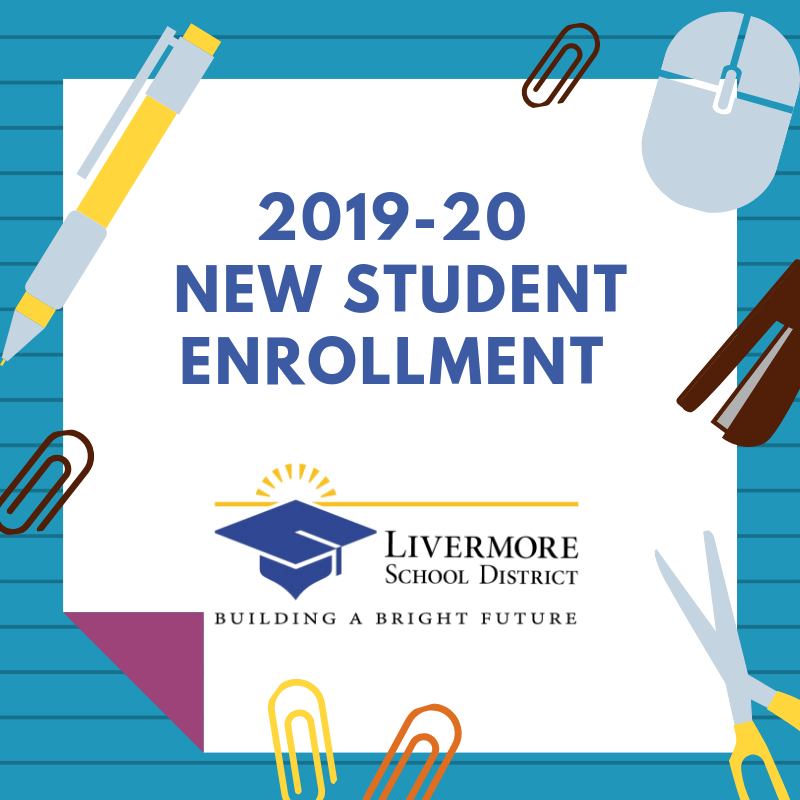 Welcome to the Livermore Valley Joint Unified School District! Click the link for all the details on enrolling for next school year! Edward Teller was a co-founder of the Lawrence Livermore National Laboratory (LLNL). Dr. Teller's work at the Laboratory is only one element of his long multidimensional and distinguished life as a scientist, educator and citizen. 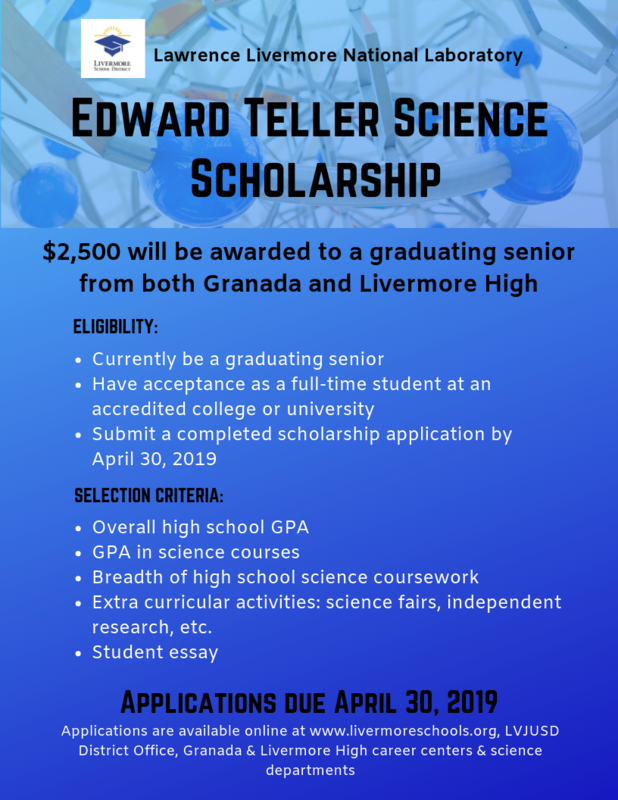 In honor of Dr. Edward Teller, LLNL is sponsoring scholarships in the amount of $2,500.00 each to a graduating senior at Livermore and Granada High Schools. Applications due April 30, 2019. 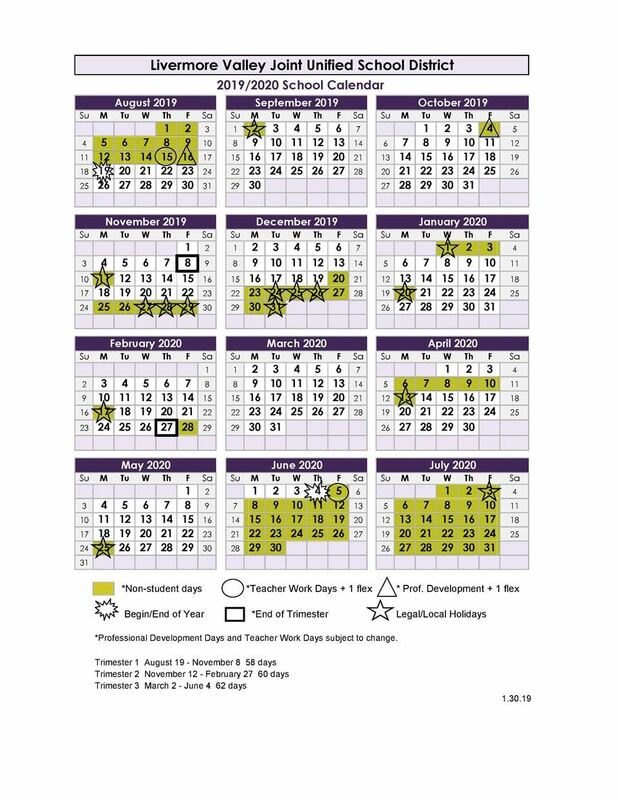 The 2019-20 District Calendar is HERE! Get a glimpse of next school year's calendar, including the first day of school, last day of school and holiday breaks! Dates for back-to-school nights, open houses and conferences are to be determined. 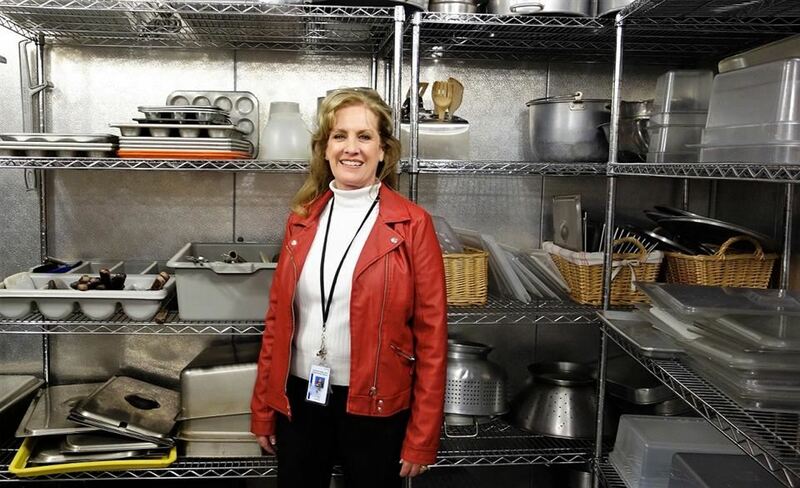 LVJUSD is pleased to welcome Lenea Pollett as its new Campus Catering Director. Pollett brings to Livermore a vision of enhancing the appeal and the impact of student nutrition at school. She plans to teach parents and guardians about nutrition, and to implement cooking clubs in after-school programs. Science Odyssey Art Contest Winner! Congratulations to our 2019 Science Odyssey Art Contest Winner, Conor Smith-Calonico, 8th grader from Junction Avenue K-8 School! Conor's artwork will be featured on this year's Science Odyssey t-shirts! 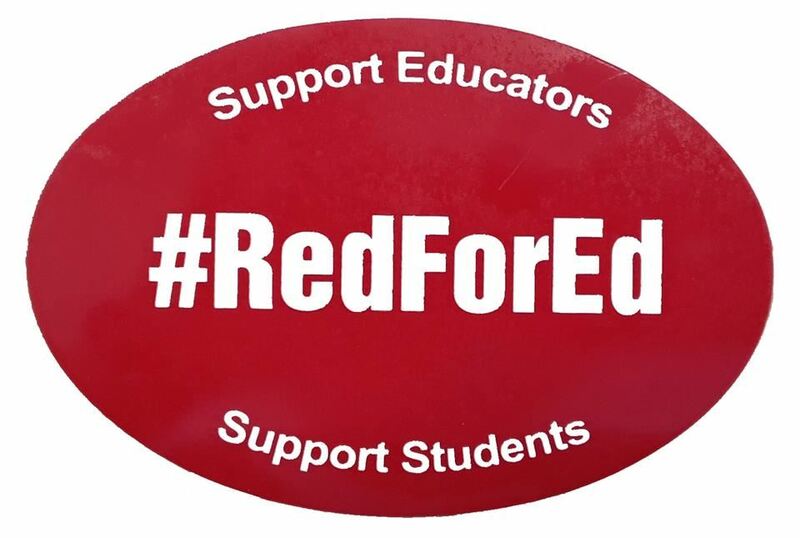 Throughout Livermore, educators and supporters of public education may be seen wearing "Red for Ed" on Friday, January 11, 2019 to support fair and full State funding for education. Our Board of Trustees has adopted a resolution in support of full and fair funding. Click above for more information on flu prevention, illness protocols and flu vaccines. 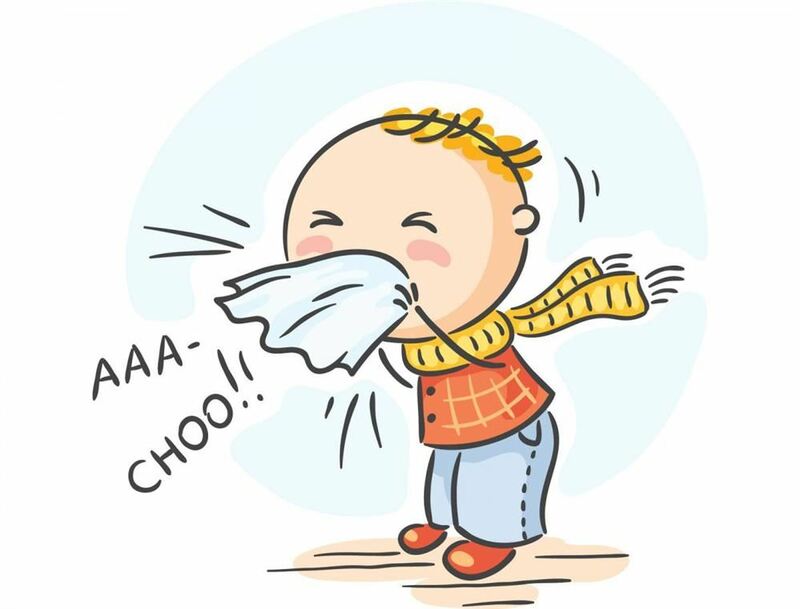 Thank you for your help in keeping our students healthy and flu free!